Searching for a new compact car near Tysons Corner? Look no further than the large selection of new Volkswagen cars for sale at Lindsay Volkswagen of Dulles. You’ll appreciate the 8-inch touchscreen and a wide variety of color options on the all-new Volkswagen Jetta models for sale in our inventory. If you need room for the whole family, but still want a sleek design with plenty of connectivity and entertainment options, we have an extensive inventory of new Volkswagen Passat models for sale. Browse our inventory to find the Volkswagon cars for sale with just the right options for you. 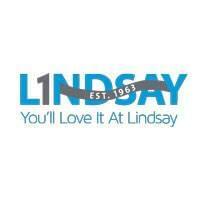 Here at Lindsay Volkswagen of Dulles, we’ve been proudly serving the Alexandria area for decades. Our goal is to earn and keep your business by exceeding your expectations every step of the way. We’ve proudly won Volkswagen Virginia Dealer of The Year award from Dealer Rater four years running. Once you’ve browsed our inventory and found the right new Volkswagen for you, it’s time to visit our showroom near Alexandria. If you’re on the go, save time by getting pre-approved for financing before you visit. Contact us at your convenience with any questions about our inventory or to schedule a test drive.